The USB Type-C standard has been developed to meet the ever growing needs of connectivity between modern devices. USB Type-C connectivity provides both power and data exchange at higher power levels and higher speeds compared to the legacy USB standard. The mechanical design of the USB Type-C connector and receptacle has also been improved, to enable smaller form factor and make the connection more user-friendly. 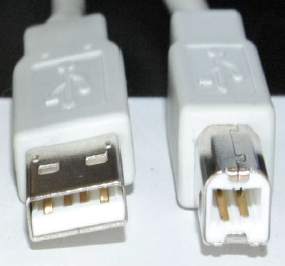 USB Type-C plug is reversible, so it can be plugged in either way; the pinning is laid out in such a way that power connections will always meet correctly. Since the receptacle has two rows of D+ and D- where the two D+ lines and the two D- lines are connected together so the D+ and D- will always meet-up. 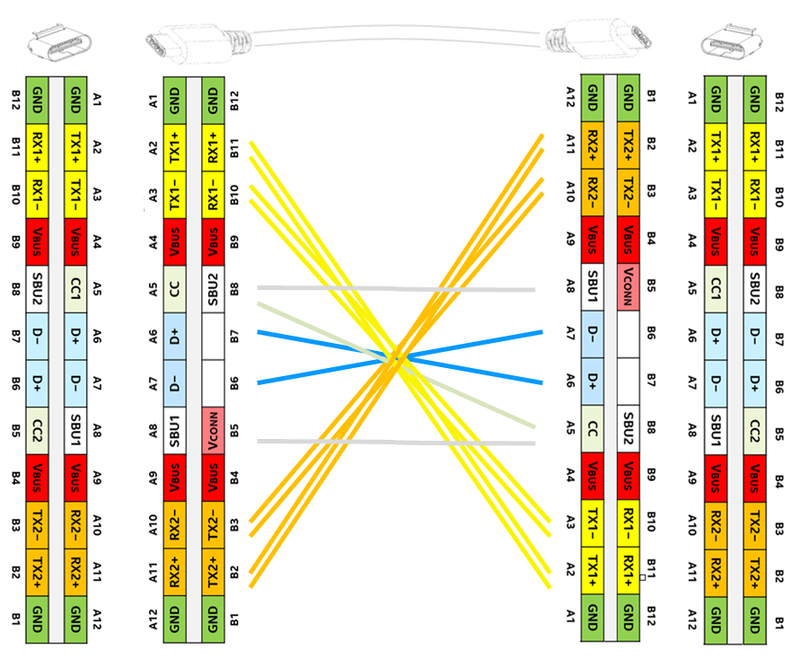 The high speed TX lines and RX lines cannot be connected together. Therefore the USB Type-C CC lines are used to identify the cable orientation and will configure the TX/RX hardware to work correctly. Figure 1 : USB Type-C receptacle and cable plug pinning. 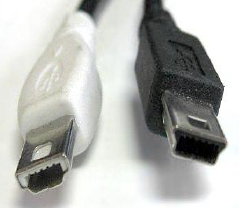 Another difference between older USB standards and the new USB Type-C standard is the dual role capability : USB Type-C cables have identical plugs on either side of the cable, which means that devices connected together have to tell each other who will be acting as host and who will be acting as device. Note that these roles need to be determined for both data and power after connection of the cable: For data transmission, the host is called the Downstream Facing Port (DFP) and the device is called the Upstream Facing Port (UFP). For power, the power provider is the Source and power consumer is the Sink. Some applications can have Dual Roles for Data (DRD) and Dual Role for Power (DRP). The CC lines will be used to define the power role of the two connected devices during connection. Another advantage of the USB Type-C system is its higher power capability. Whereas the legacy USB was able to provide 2.5W only, USB Type-C is able to provide up to 5V/3A, 15W max, and with Power Delivery, the voltage & current range is increased to 20V/5A for maximum power of 100W. This makes it possible to power larger devices from the USB PD port, like monitors, and also allows charging devices with large battery packs like notebook computers. The new USB PD 3.0 standard also supports Programmable Power Supply (PPS) which allows fine adjustment of the bus voltage and current, and even allows lower voltage than 5V; PPS VBUS can be adjusted down to 3V which is very useful in Direct Charge systems where the Bus voltage is directly connected to the battery for highest efficiency charging. Standard type-C cables are rated for currents up to 3A. For higher currents up to 5A, special E-marked cables need to be used. These cables include a Cable ID IC that indentifies the cables capability via the CC line. E-mark ICs require a 5V power supply to be applied to the cable VCONN pin via one of the CC wires. The Super Speed + 10Gbps data rate via the TX/RX pairs makes it possible to transfer signals that previously needed dedicated cables, like HDMI/DisplayPort/Thunderbolt, and allows 4k video to be transferred over USB Type-C. HDMI signal transfer via USB Type-C cables requires special use of the data transfer pairs in the cable, which is called Alternate Mode. 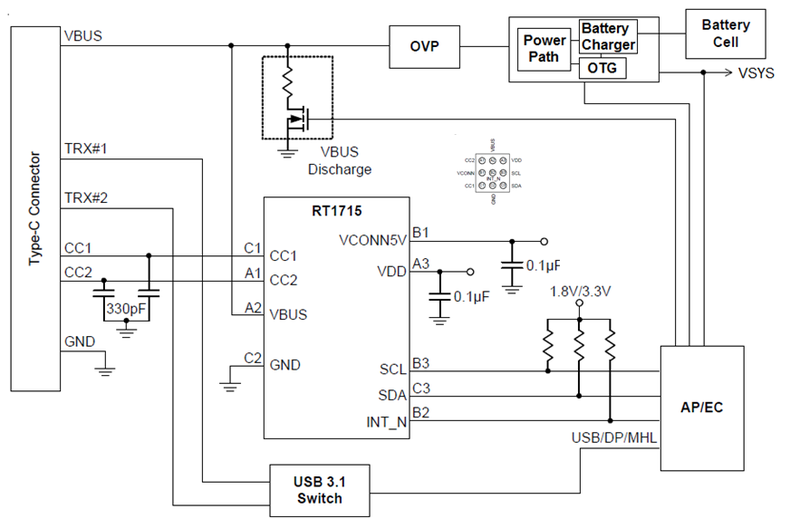 Figure 2 shows a typical USB-PD adapter charging solution, where the adapter power supply provides an adjustable USB bus voltage 5V, 9V, 15V or 20V based on the request of the device attached. Figure 3 is a similar application as Figure 2, but now utilizing the USBPD 3.0 Programmable Power Supply function to fine-adjust the bus voltage over a wider voltage range. The extended VBUS low voltage range down to 3V makes it possible to use the Direct Charge concept, which connects the VBUS directly to the battery and controls the battery charge current and voltage via the USB PD 3.0 communication protocol. Figure 4 shows a car charger application where the car battery voltage is stepped down to 5V or 9V based on the request of the battery charger in the mobile phone. The mobile phone can provide data (like audio) to the car infotainment system. To charge larger devices like notebook computers from the car battery, higher bus voltage is needed. Figure 5 shows a 90W car charging solution which makes use of a buck-boost converter. Again the notebook computer will request a suitable BUS voltage via the USB-PD protocol. The higher 4.5A cable current will require the use of an active cable with E-mark IC. Computer Displays with USB Power Delivery can act as power source as is shown in Figure 6 where a USB-PD monitor provides power to the Notebook computer while receiving display data over the same USB cable in Alternate Mode. Figure 7 shows a powered docking station which can connect to several devices, delivering power and routing data streams between the devices. With the introduction of USB Type-C, there is a need to be able to connect other interfaces to this port. Figure 8 shows a USB Type-C to HDMI converter cable. The bus voltage will stay at 5V, and the converter electronics are powered from the bus voltage. Figure 9 : non-twisted, non-flipped straight connection. Figure 9 shows a non-twisted cable with un-flipped connector –receptacle position. From left receptacle to right receptacle, the RX1pair connects to TX1 pair and Rx2 pair connects to TX2 pair. D+ connects to D+ and D- connects to D-. SBU1 connects to SBU2. CC1 connects via CC wire to CC1. 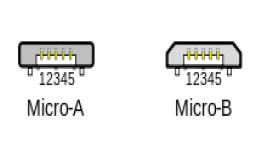 USB-3.1 uses only two data pairs. In this case, the high speed data travels via RX1+/- and TX1+/- from one side to the other side. Note that VCONN is not wired through; the VCONN voltage for powering cable E-mark ICs is only provided from one side, after determining whether a cable includes an E-mark IC or not. Figure 10 shows a twisted cable connection with receptacle in same position. In this condition, from left receptacle to right receptacle, the RX1 pair connects to TX2 pair and Rx2 pair connects to TX1 pair. D+ still connects to D+ and D- still connects to D-. SBU1 connects to SBU1, SBU2 to SBU2. CC1 connects via CC wire to CC2. High speed data now needs to travel from RX1+/- and TX1+/- left to RX2+/- and TX2+/- on the right. It means the data transceiver needs to switch to different data pairs. There are totally 4 connection possibilities: flipped or non flipped receptacle and twisted or non twisted cable. In USB 3.1 systems, the RX/TX data-lines require a multiplexer to correctly reconfigure the RX/TX lines in all possible cable orientations. 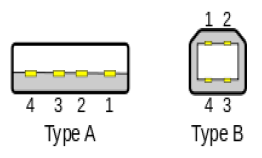 Figure 11 shows the data bus routing possibilities between to USB Type-C ports. The cable / receptacle orientations are detected via the CC1/CC2 pins on either side. The CC (Channel Configuration) logic controller will set the multiplexer function accordingly. This can be done either via a multiplexer switch or data line selection embedded in the USB chipset. The basic USB Type-C Source to Sink without Power Delivery block diagram is shown in Figure 12. A USB Type-C source will always include a MOSFET switch for enabling/disabling the VBUS voltage. It can also include a VBUS current sense, to check for over-current conditions, and a VBUS discharge function. Both Source and Sink will include a CC1/CC2 line detection circuit. The CC (Channel Configuration) lines are used to establish power exchange between the two applications connected together. Initially, the USB Type-C VBUS line will be unpowered. During the cable connection the power role of each application needs to be defined. It is defined that the power provider (source) will pull-up the CC lines at the receptacle and the power consumer will pull down the CC lines at the receptacle. 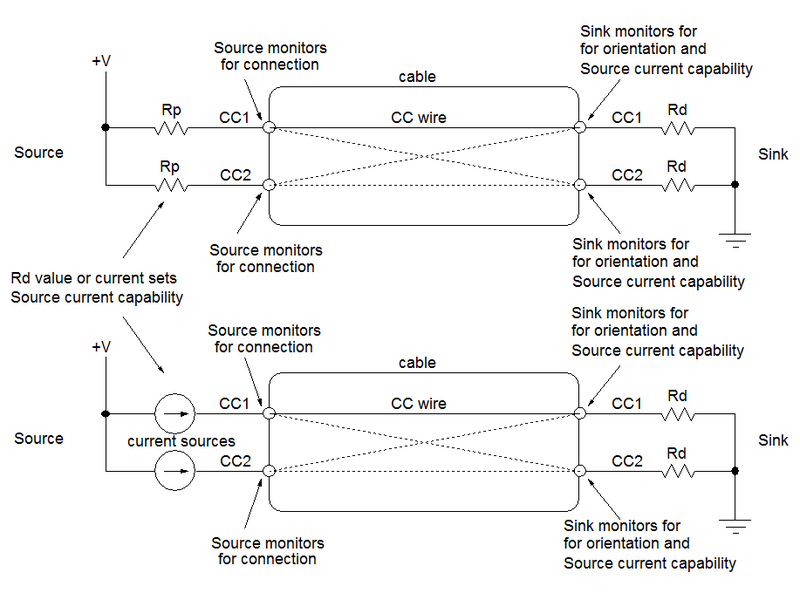 Figure 13 shows the method for establishing power role, cable orientation and current capability: Source pulls up CC1 and CC2 with resistor Rp. 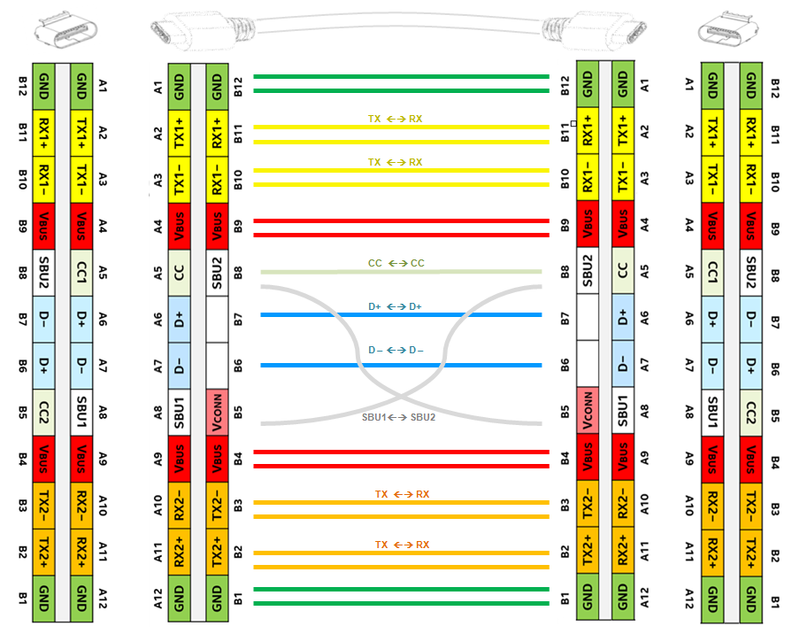 It monitors the CC1/CC2 lines, which will be high when nothing is connected. As soon as Sink is connected, it pulls the CC1 and CC2 lines down with resistor Rd. Since there is only one CC line in the cable, the Source will see either CC1 or CC2 voltage dropping. The Sink also checks the CC1/CC2 lines and checks the voltage of the line that is pulled up. The voltage level will tell the Sink how much current the Source is able to deliver. 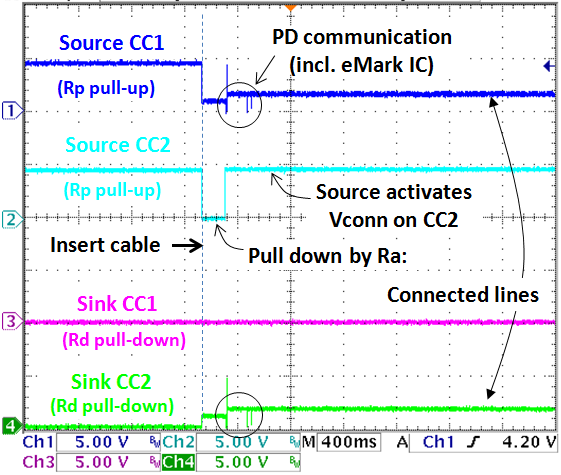 It is also possible to use current sources instead of pull-up resistor Rp, which is easier to implement in ICs and makes the application less sensitive to V+ tolerance. The Sink pull-down resistor Rd is defined to be 5.1kΩ. 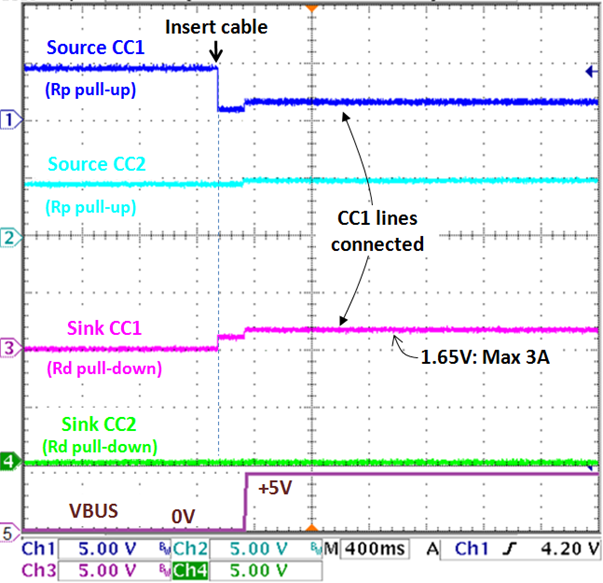 The CC line voltage is now defined by the Source pull-up resistor Rp values (or current source values). These are defined for 3 different Bus current capabilities : The lowest voltage on the CC line (around 0.41V) means default USB power (current = 500mA for USB2.0 or 900mA in USB3.0). A higher CC line voltage (around 0.92V) defines a current capability of 1.5A. When the CC line voltage is around 1.68V, the maximum current capability is defined at 3A. See Figure 14. Figure 15 shows an example measurement where a power provider (Source) is being connected to a power consumer (Sink) by means of a normal USB Type-C cable. Initially the CC1 & CC2 pins of the Source receptacle are pulled up via the two Rp resistors, and the CC1 & CC2 pins of the Sink are pulled down via the Rd resistors. When the cable is connected, it depends on cable orientation which CC1/2 signals will line-up. In this case the cable was not twisted, and CC1 at Source connects to CC1 at Sink, so the CC1 line now shows a voltage determined by the Rp/Rd resistor divider. The voltage level is read by the Sink so it knows how much current the Source is able to provide. In this example, the connected CC1 line shows around 1.65V, which means the Source is able to provide maximum 3A current. The 5V Bus voltage is enabled after the CC line connection has been verified. In USB Type-C only without Power Delivery systems, the Rp/Rd divider will determine the maximum bus current that can be delivered, but the source can only provide 5V. USB Type-C systems with Power Delivery (PD) can increase the bus voltage, from 5V up to 20V maximum. The communication between Source and Sink regarding bus voltage and current is then done via serial BMC code on the connected CC line. The basic USB Type-C Source to Sink with Power Delivery block diagram is shown in Figure 16. The Source now includes a voltage regulator that is controlled by the Source PD controller. Depending on the input voltage and the maximum bus voltage requirements, this voltage regulator can be a buck, boost or buck-boost or a flyback converter. The CC line PD communication is handled by the PD controller as well. USB-PD systems also need to be able to switch a VCONN supply to one of the CC lines. (see later section on eMark ICs). After cable connection has been established, devices with Power Delivery (PD) function will start SOP communication via the active CC line regarding power profile selection: The Sink will interrogate the Source regarding available power profiles (different bus voltages and currents). Because the Sink power requests are often related to the Sink system (i.e. battery charger), it is often the Sink embedded system controller (EC) that will first communicate with the Sink PD controller (via I2C) for specific power requests. Figure 17 shows an example of a PD request where the Sink requests a higher bus voltage. 1. The Sink will first request Source capabilities. 2. The Source will provide its source capabilities. 3. The Sink will then request a suitable power profile from the Source capability list. 4. The Source will accept the request and start to make changes to the BUS voltage. The Sink will minimize the bus loading during BUS voltage change. The Source will increase the VBUS voltage with a defined slew rate. 5. After the BUS voltage has reached its final value, the source will wait until the BUS has stabilized and then will send a Power Supply Ready signal. The Sink will now increase the BUS loading again. When the Sink wants to reduce the Bus voltage a similar communication sequence will happen. But during the VBUS reduction, the Source will also activate a bleeder (VBUS discharge) to help reducing the bus voltage faster. The Source will wait a bit longer for VBUS stabilizing and will then send Power Supply ready signal. This communication method ensures that any power change on the BUS is always within capability of both Source and Sink. As soon as the Type-C cable is disconnected, the BUS voltage is removed, and any new connection will start with cable connection check and the lowest bus voltage (5V). This will avoid any damage when plugging cables from one device into another device. USB PD communication makes use of the Bi-phase Mark Code (BMC). This code is a single wire communication, where a logic 1 is transmitted by a hi-low change and a logic zero is transmitted as either a fixed high level or a fixed low level. Each data packet consists of a low-high-low sequence preamble, SOP (Start Of Packet), Header, message data bytes, CRC error checking and EOP (End Of Packet). See Figure 18. Just how dense the communication packets actually are can be seen in Figure 19 which captured the PD communication after requesting a VBUS voltage increase. The zoomed section shows the preamble sequence. 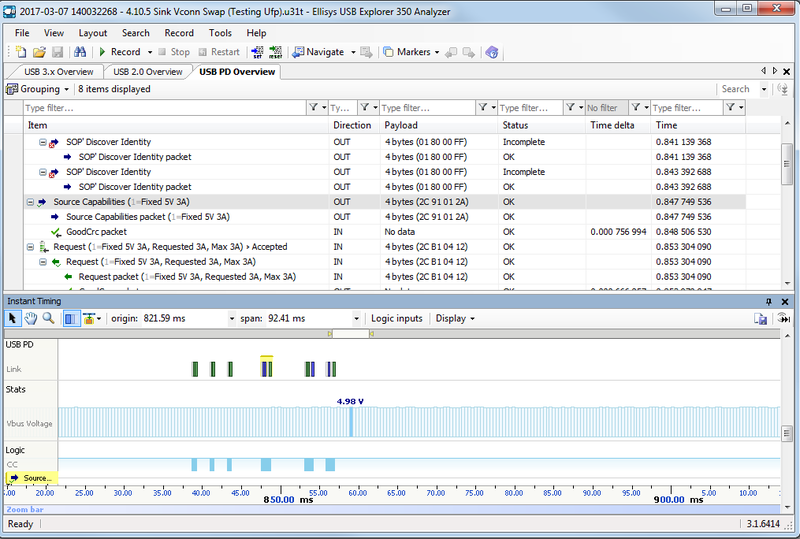 The BMC data can be decoded by USB PD decoders like Ellisys EX350 Analyzer. These tools will capture PD data, show the meaning of each packet, and show the timing related data with Vbus value, and CC waveform. See Figure 20. Four different discrete voltage levels are defined : 5V, 9V, 15V and 20V. For the 5V, 9V and 15V, the maximum current is 3A. The 20V profile can be max 20V/3A (60W) for normal cables but it can be increased to 20V/5A (100W) when using special e-marked cables. A system that supports a certain maximum voltage / power level must support all lower voltage / power levels as well. USB Type-C specifies various cables : For low speed USB2.0 cables, there are no special requirements except that cable current rating is 3A. Cables that support Superspeed USB3.1 data transfer or can carry currents higher than 3A must be electronically marked. Figure 22 shows the situation where the cable contains an IC that identifies the cable characteristics (eMark IC). Active cables also can contain a re-driver IC for signal conditioning. These ICs need to receive power from one of the cable’s VCONN pins. Cables with an eMark IC will have an internal 1k pull-down resistor Ra on the VCONN pin, so Ra has a lower value than Rd which is typically 5.1k. After inserting this type of cable, the Source will see both CC1 and CC2 pin voltages dropping. The voltage levels will tell the host which pin is pulled down by the Source via 5.1kΩ Rd resistor and which pin is pulled down by the cable 1kΩ Ra resistor, so cable orientation can still be determined. The Ra pull down action will also tell the Source that a VCONN 5V power needs to be applied to that CC pin for powering the eMark IC. It can now be seen that when the cable is connected, one of the CC lines at the Source is now pulled down to a very low level due to the low Ra value (1kΩ) on the VCONN pin. The Source will sense this and will know that the cable contains an E-mark IC. It will then apply a 5V VCONN supply to this CC line to power the cable internal electronics. Some USB Type-C devices can act as Source and Sink, the so called Dual Role for Power (DRP) devices. These devices will toggle the CC1 and CC2 pins high-low before connection is made. If two DRP devices are connected together, both end of the cable show toggling CC lines as is shown in Figure 24. In this connection event, the left DRP took the role as Source and the right DRP became Sink. But it could also be vise versa, unless one DRP has set a preference as Source (i.e. when it’s powered by an external adapter) or preference as Sink (i.e. when it is powered by a battery). 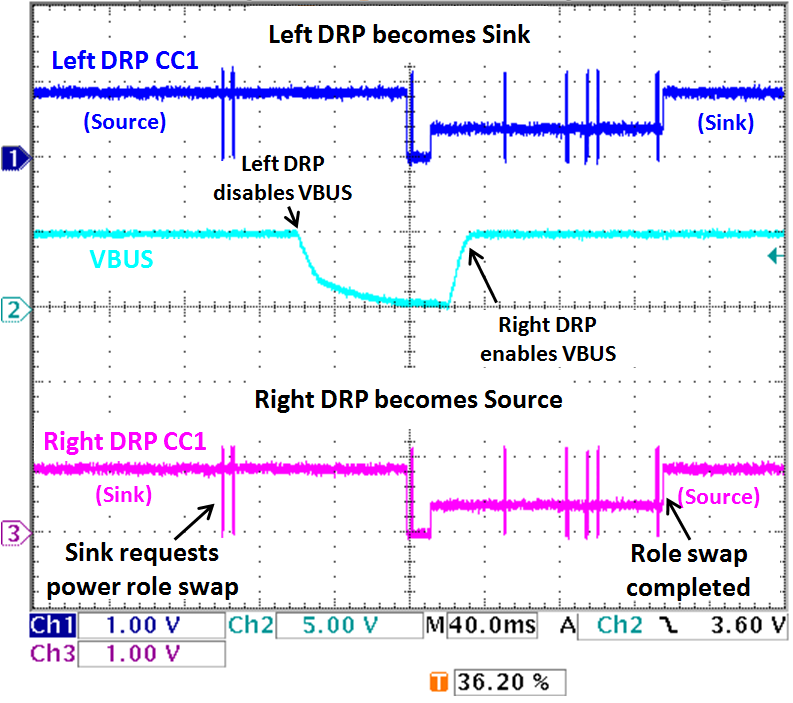 Power Role swapping can be done while connected: When two DRP’s are connected together, either side can request a power role swap. Figure 25 shows an example of Power Role Swap. Since the start of the USB Type-C PD specification definition, Richtek has been a member of the USB Implementers Forum (USB-IF) in order to stay updated with the latest developments of the standard. Richtek has been developing innovative solutions for a wide range of USB Type-C PD applications, from USB-PD power adapters, Car Chargers, Type-C cable e-Mark ICs to Type-C Dual Role Power PD port controllers which use the latest USB3.0 PD protocol to support Direct Charging systems. Figure 26 shows some evaluation kits and development board for various USB Type-C Power Delivery applications. For USB Type-C Power Adapters with Power Delivery applications, we have developed RT7786 Flyback controller which works together with RT7207 USB Type-C PD controller at secondary side. The wide operation range of RT7786 and RT7207 make the output adjustable from 3 to 20V, and by using synchronous rectification via RT7207’s embedded synchronous rectifier driver the rectifier losses at high output currents are minimized. RT1715 is a tiny (1.38 x 1.38mm CSP) but powerful USB Type-C controller suitable for Sink or Source or Dual Role Power Delivery applications. Supporting USB PD 3.0, VCONN power, Alternate Mode, this IC can be used in a wide range of PD controller applications, like Smart Phone, Hard drive or Tablet PC. RT1711P is a full-featured USB Type-C controller suitable for Sink or Source or Dual Role Power Delivery applications and includes full dual role power path control, external DC converter output voltage control, VBUS bleeder discharge and VBUS current sense. Supporting USB PD 3.0, VCONN power, Alternate Mode this IC can be used in almost any USB Type-C application with Power Delivery like Smart-Phone, Hard-drive, Monitor, Notebook PC, Dongle or Car Charger. 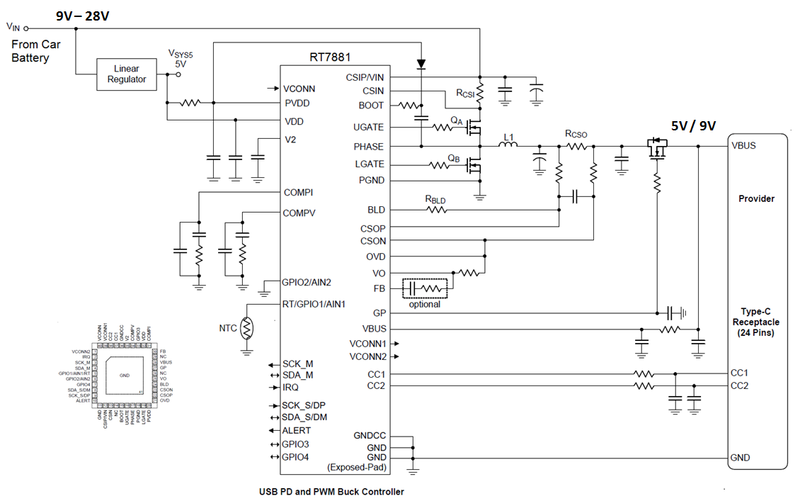 RTQ7880 is an automotive grade USB Type-C PD Source with integrated Buck-Boost controller. Its wide input voltage range in combination with a Buck-Boost makes it suitable to be powered from Car batteries and provide VBUS power from 5V/3A up to 20V/5A for charging any USB-C device in a car environment. Supporting USB PD 3.0, VCONN power, Alternate Mode and fully programmable cable drop compensation, this IC can be used in wide range of USB Type-C Provider applications. RT7881 is a USB Type-C PD Source with integrated Buck controller for USB Type-C Provider applications. Having similar features as RTQ7880, it can be used in wide range of USB Type-C Provider applications that are powered from an input voltage that is higher than the maximum required VBUS voltage. RT1710 is a Cable ID (e-Mark) IC for passive and active USB Type-C cables, like cables with 5A current capability or cables with re-drivers for signal conditioning. RT1710 supports SOP’ communication, and features embedded Ra / VCONN for both cable ends, isolation diode, embedded MTP (multi-time rewritable memory for VDM data, with I2C bus for writing VDM data and custom structured VDM writing through the CC pin. Conventional USB adapters for 5V only are relatively straight-forward designs, as the output voltage is fixed and power levels are relative low. But USB adapters with Power Delivery require that the adapter output voltage can be varied over a wide range and they need to provide higher power levels which can easily result in thermal issues in small travel adapter form factors. The Richtek RT7786 flyback controller is specially optimized for USB with Power Delivery : It can deliver a wide output voltage range, with adaptive loop gain control for maintaining stability, adaptive over-current and over-voltage protections, a wide VDD range allowing wider Vaux range, higher driver capability for driving large MOSFETs, has 30mW low power standby and SmartJitter for low EMI emission. At secondary side RT7207 takes care of the flyback converter output voltage control by controlling an opto-coupler based on output voltage and current sensing. RT7207 also integrates an MCU to handle the USB PD protocol, including BMC coding transceiver. The build-in charge pump can ensure sufficient SR MOSFET gate drive even when output voltages are below 4.5V. This allows output voltages down to 3.3V (3.0V for RT7207K) allowing Programmable Power Supply (PPS) operation for Direct Charge applications. The embedded driver for controlling a synchronous rectifier can work in both DCM and CCM mode which increases the converter efficiency at high loads. RT7207 has an OTP memory which allows programming of many parameters, like over-current and over-temperature protections, and programmable cable compensation. RT7207 can also be used in BC1.2 DCP applications which make use of D+/D- pins for output voltage & current setting. The basic schematic of an adapter using RT7786 and RT7207 is shown in Figure 27. A note about CC1/CC2 pin voltage rating: In the USB Type-C connector, the CC1/CC2 pins are adjacent to the VBUS pins. Due to the small pin pitch of the connector, there is a risk that during cable connect or disconnect a short could occur between VBUS and CC1/CC2, resulting in maximum 20V on the CC1/CC2 pins. Richtek USB-PD controllers like RT7207D therefore have 22V voltage rating for the CC pins which make them more robust. RT7786 + RT7207D reference design is available for evaluation purposes. Figure 29 shows a 60W USB PD travel adapter design, capable of delivering 5V, 9V, 15V and 20V at 3A from a full range mains input. The design dimensions are 53 x 50 x 23mm, has an efficiency of over 93% at 60W output, achieves less than 50mW no-load standby power and has been tested to pass USB IF compliance test, as well as DOE-6 and CoC Tier-2 PSU efficiency requirements with good thermal results. Currently USB Type-C connectors are gradually being introduced in cars as well. Most car makers start with Type-C only, providing 5V VBUS up to 3A. For these applications, a standard USB Type-C only controller with a Buck converter can be used. Figure 30 shows an example of a Type-C only solution for car charger application. RTQ2115C is an automotive grade Type-C DFP controller + 3.5A buck converter with 3V to 36V input voltage range. It includes CC line sensing and current advertising, VBUS current sense and On/Off control, VCONN supply control and cable polarity detection & output. It also includes D+/D- sensing BC1.2 SDP/CDP/DCP modes and divider mode / 1.2V mode detection. To implement USB Type-C with Power Delivery in car systems, it depends on the battery input range and VBUS output range whether a buck converter can still be used. In Power Delivery systems that only require power profiles of 5V/3A and 9V/3A, a buck converter may still be acceptable. In such systems, RT7881 may be used. RT7881 is a USB Type-C PD Source with integrated Buck controller for USB Type-C Provider applications. See Figure 31. RT7881 integrates a Cortex M0 MCU which controls all USB-PD communication, smart control of the Buck-controller section including some firmware based protections and customized functions. Critical protections like VBUS OVP/USB and OCP are all hard-ware based for fastest response. Output voltage can be fine-tuned in 12mV/step, allowing digital cable voltage drop compensation and Programmable Power Supply (PPS) function. Figure 32 shows the RT7881 EVB in a typical Car Charger form-factor. For car battery powered charger systems that need to be able to supply the complete USB-PD output voltage range from 5V to 20V, the power converter needs to be a buck-boost type. For these applications Richtek has developed RTQ7880, an automotive grade USB Type-C PD Source with integrated Buck-Boost controller for USB Type-C Provider applications. See Figure 33. The buck-boost converter consists of a full bridge. In Buck mode, QA and QB are switching, and QD is on, QC is off. In boost mode, QA is on, QB is off and QC and QD are switching. The transition from buck to boost mode is seamless. 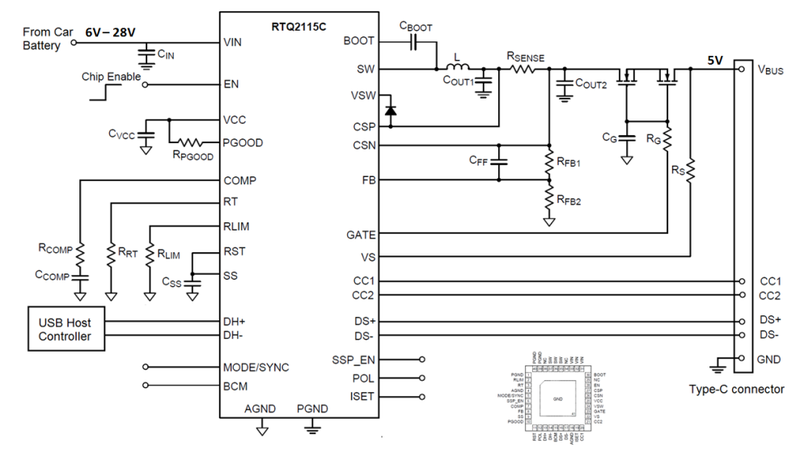 Similar to RT7881, RTQ7880 includes a Cortex M0 MCU which controls all USB-PD communication and smart control of the Buck-Boost controller section. The buck-boost controller is fully configurable, with programmable switching frequency, current sense, force-PWM or PSM mode, output voltage can be fine-tuned in 12mV/step, allowing digital cable voltage drop compensation and Programmable Power Supply (PPS) function. RTQ7880 includes a charge-pump for blocking MOSFET gate drive, allowing the use of cheaper N-type blocking MOSFETs. CC1/CC2 lines are 20V tolerant, allowing CC line to VBUS short-circuit. VCONN supply with current limit is included, for driving systems with e-marked cables for output powers up to 100W (20V/5A). 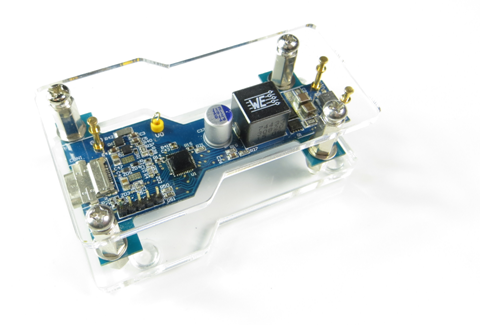 RTQ7880 can be used as stand-alone charger provider, but it can also be used in combination with an Embedded Controller for added data communication with MUX. Figure 34 shows the RTQ7880 evaluation board which is capable of providing up to 60W (20V/3A) of output power. 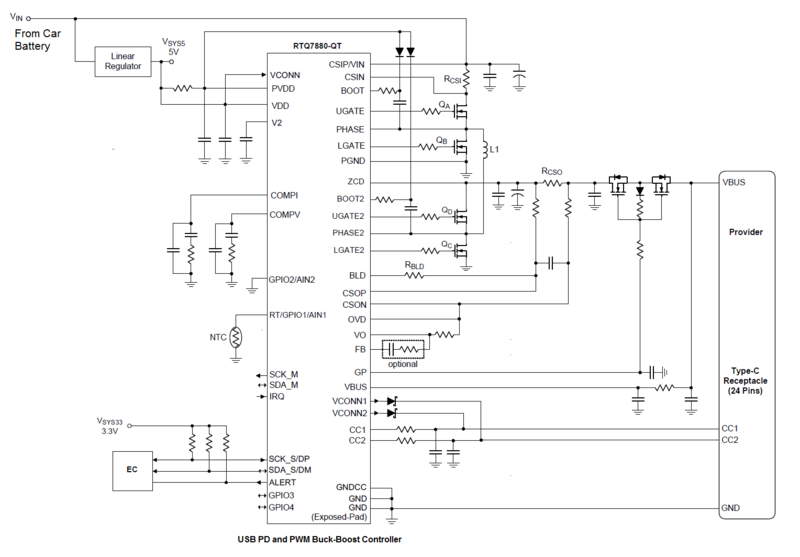 The evaluation board includes a Richtek bridge board for connection to a PC, to read the VBUS voltage and current status and control PD functions. The firmware of RTQ7880 is located in a multiple programmable MTP memory. It can be re-flashed via the Richtek bridge-board, but the IC can also be configured to be programmable via the USB Type-C bus for firmware updating in the field. Besides car charger, RTQ7880 can also be used in provider only applications like USB-PD display or hub. The buck-boost converter makes it possible to power these systems from normal 12V input power supply. Figure 35 left side shows a DRP solution which makes use of a USB Type-C PD port controller. The controller takes care of all Type C port detection and communication and stores the information in internal registers. The embedded system controller will read the registers and makes the decisions, activating MOSFET switches and controlling voltage regulator for Source role or battery charger for Sink role. In this case the USB PD port controller can be RT1711H, RT1715 or RT1716. Figure 35 right side shows a DRP solution which makes use of a USB PD Port and Power controller. This controller includes functions like external MOSFET control, voltage regulator control and data MUX control. The embedded system controller still reads the registers and makes the decisions regarding power role, but the commands are all send to the PD power controller which activates the power path and control functions. VBUS Protection functions like Bus over voltage and over current can be executed immediately without EC intervention. In this case the USB PD port controller can be RT1711P. Since many DRP applications work with a battery, the system has to be able to start-up when the battery is dead or has been deeply discharged. Above mentioned controllers all support dead-battery function, which means that even when no power is applied, the Type-C controller will activate Rp resistors when the cable is connected, so a Source will sense the pull-down action on the CC wire and activate the VBUS. The Sink will then be able to wake-up the EC and the system can operate without battery or try to recharge the battery. 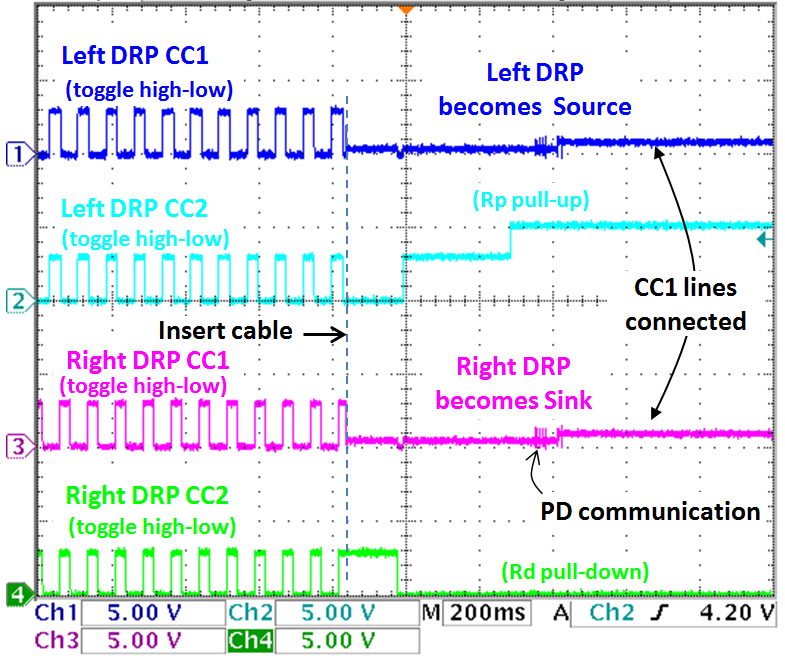 Figure 36 shows a typical application of a USB Type-C DRP solution in a Smart-Phone using the Type-C PD controller RT1715, which takes care of the CC line detection and communication and support for VCONN to power e-marked cables. The VBUS power control in this case is handled by the embedded controller (EC) and a battery charger like RT9466. The EC reads the RT1715 registers, decides the power role and sets the battery in charge mode (Sink role) or OTG mode for Source role. 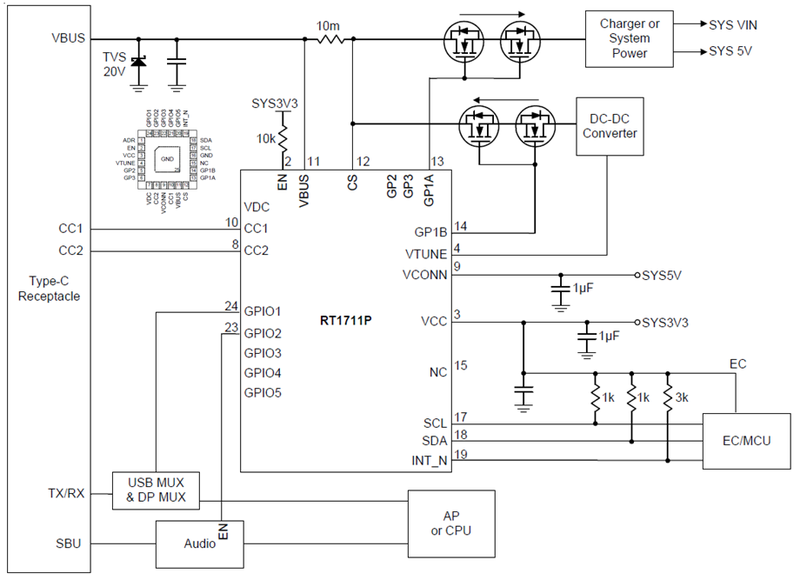 The battery charger Power Path control is used to switch on / off VBUS. 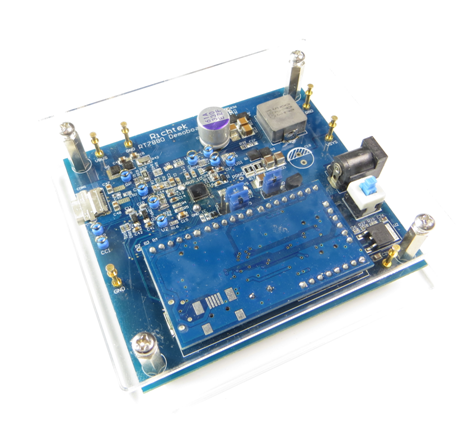 For development purpose, Richtek provides evaluation boards for RT1711H, RT1715 and RT1716. Figure 37 shows the evaluation board for RT1715, which includes an embedded controller, voltage regulators, and switches for many different hardware configurations. A GUI tool is provided which communicates with the EC to read (via RT1715 registers) the USB Type-C port status, set the power role and select various power profiles. RT1711P is a full-feature USB Type-C controller suitable for Sink or Source or Dual Role Power Delivery applications. Figure 38 shows RT1711P in a DRP application with full dual role power path control, external DC converter output voltage control, VBUS over current and overvoltage sensing and bleeder discharge. Supporting USB PD 3.0, VCONN power and Alternate Mode, RT1711P can be used in almost any USB Type-C application with power delivery like Smart-Phone, Hard-drive, Monitor, Notebook PC, Dongle or Car Charger. Also for RT1711P evaluation boards are available to test the device in various configurations. Figure 39 shows the evaluation board for RT1711P, which includes an embedded controller, voltage regulators and switches for all hardware configurations, with Power Delivery range from 5V/3A to 20V/3A. A GUI tool is provided which communicates with the EC to read (via RT1711P registers) the USB Type-C port status, set the power role and select various power profiles. 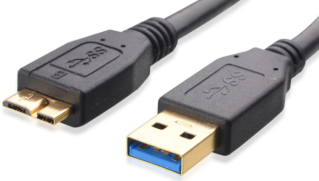 USB Type-C Cables that support Superspeed USB3.1 data transfer or carry currents higher than 3A must be electronically marked, which means the cable connector will include a small IC that contains information about the cable properties, data performance, vendor identification, etc. This e-mark IC will be powered by the VCONN line of the Source, and transmits its data over the CC line. The e-mark IC will include a Ra 1kΩ pull down resistor on the VCONN pin to let the Source know the cable contains an e-mark IC. Once the cable is connected, BMC communication will take place between Source and e-mark IC. RT1710 is specially designed for providing a flexible solution for electronically marked cables. It has two input supply pins VCON1 and VCON2 with blocking diodes and embedded Rd resistors to allow it to be powered from both cable ends as shown in Figure 40. The RT1710 communication supports USB Power Delivery Structured VDM Discover Identity commands directed to SOP', and is fully certified to meet USB-IF requirements. Its slew rate controlled BMC communication minimizes the EMI effects. 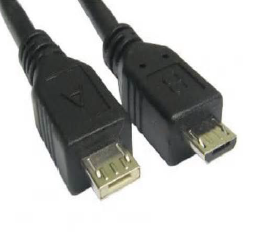 Although most cables will adopt the single IC solution of Figure 40, some cable manufacturers may wish to place two ICs, one in each connector, thereby reducing one wire in the cable. (See Figure 41). Each IC is now powered from the VCONN pin at each cable end. Since only the Source will provide VCONN voltage, only one IC is active at the time. RT1710 has an embedded Multi-Time Programmable memory for storing the VDM data. This data can be written into the MTP memory by using the Richtek programming tool. 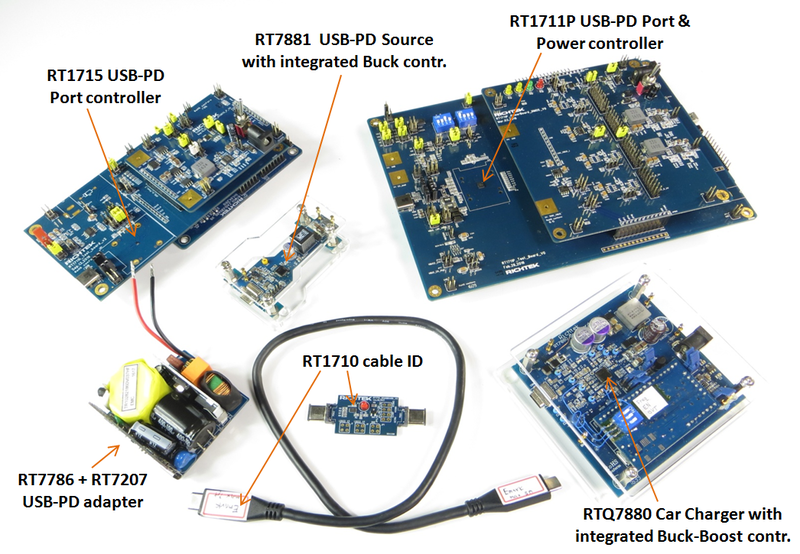 Figure 42 shows the RT1710 evaluation board and the programming tool. For cable production and testing, the Richtek RT1710 production test kit and program can be used. The test kit consists of a programming tool with LCD display which is controlled a PC using the USB port. The programming tool has two USB Type-C ports, and can program and test cables with single or dual e-mark IC. The test kit will be unique for each customer, with dedicated vendor ID. VDM data includes cable serial number, which will be automatically updated each programming cycle. The LCD screen will show the serial number and pass or fail message for quality checking. With the introduction of the USB Type-C standard, a lot of new functionality is introduced. It is important to understand the basics of the USB type-C Power Delivery standard and capability in order to determine the application requirements. Richtek is continuously expanding its power management solutions for various USB Type-C with Power Delivery applications, from Type-C power adapter, Car charger, Display, Power Bank, Cable ID to full function Dual Role Power applications like Smart Phones.